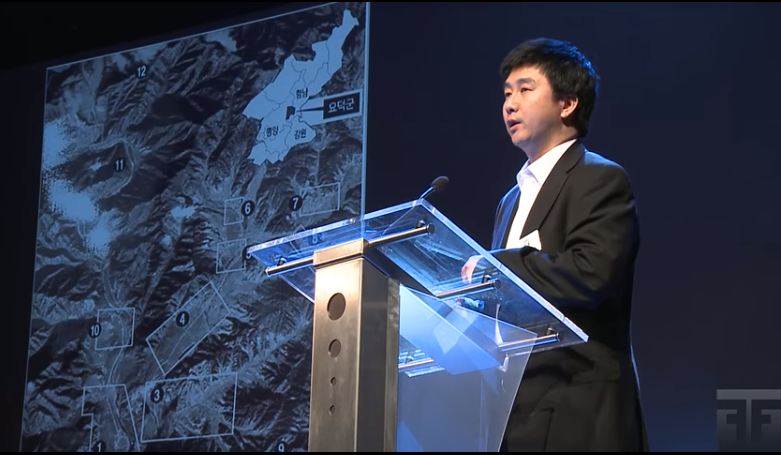 Our primary goal is to raise international awareness on the various injustices and human rights violations faced by North Korean civilians on a daily basis. As a defector-led non-governmental organisation, it is our duty to constantly spread the horrors taking place within North Korea which often pass unnoticed by the rest of the world. Due to the isolated nature of the regime, it is difficult to understand for certain the internal domestic situations within the country.  However, we rely n a variety of tools and strategies to access information from within. The NKSC researches, publishes and spreads such information to the world in order to promote the prioritisation of the North Korea issue in the international political agenda. With such aims, the NKSC cooperates with other non-governmental or government-related organisations to fuel the struggle towards democracy and liberalisation in North Korea. 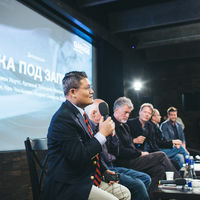 Since 2008, we have been participating in a variety of local and international forums, conferences and seminars which allow us to expose the atrocities taking place within North Korea and promote various strategies to bring about change. 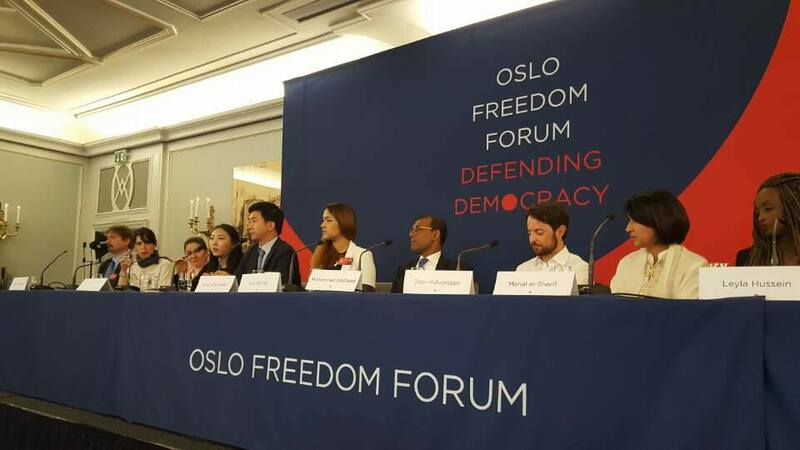 "The Oslo Freedom Forum is a transformative annual conference where the world’s most engaging human rights advocates, artists, tech entrepreneurs, and world leaders meet to share their stories and brainstorm ways to expand freedom and unleash human potential across the globe". 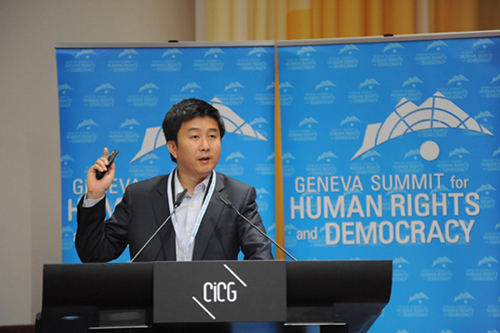 "The Geneva Summit for Human Rights and Democracy assembles each year hundreds of courageous dissidents and human rights victims, activists, diplomats, journalists and student leaders to shine a spotlight on urgent human rights situations that require global attention." President Kang attended and participated in Panel Discussions and Workshops at the Forum. "Bone Music is an exhibition examining a unique episode in postwar Soviet history. From the late 1940s to the early 1960s, inventive Soviet music lovers made illegal copies of banned music on used X-ray film. Their recordings were not limited to Western jazz and rock-n-roll, but also featured Russian émigré music, as well as popular prison and gypsy songs. Putting their freedom at risk, Soviet bootleggers brought some of the hits of the era to a broader Soviet audience and added an exciting chapter to the history of samizdat. Their craft died out in the mid-1960s with the introduction of reel-to-reel recorders, but left a legacy of sonically and visually unique artifacts." 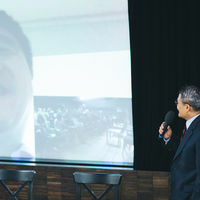 President Kang shared his experience regarding NKSC&apos;s information smuggling activities into North Korea and how that is expected to enhance change from the inside.